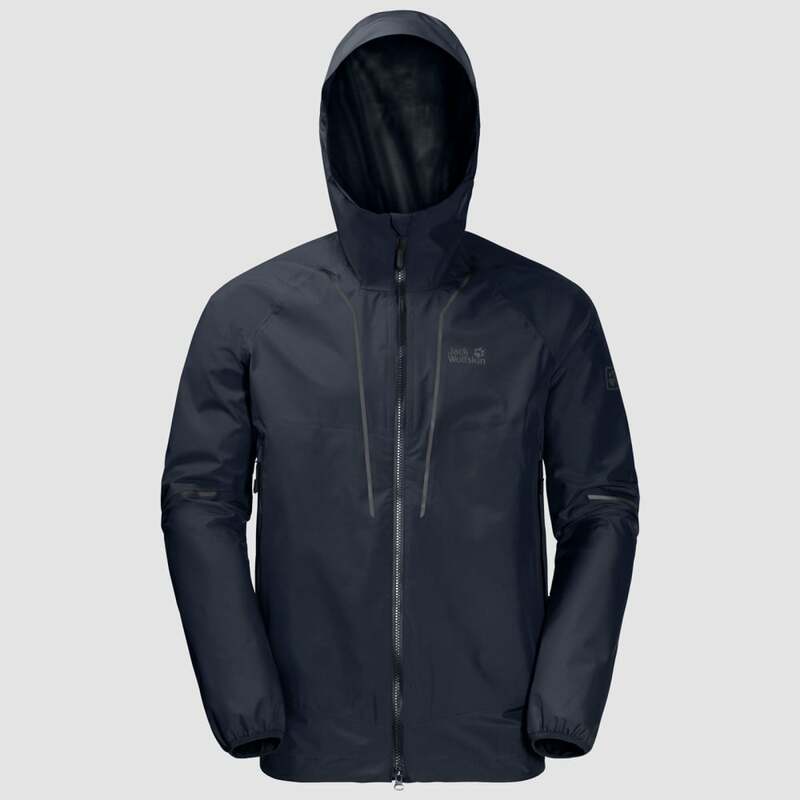 The Jack Wolfskin Mens Sierra Trail Jacket is a lightweight weatherproof jacket perfect for all kinds of outdoor persuits in milder weather or as an everyday jacket thanks to the element protection and lightweight design. The garment in 100% PFC free, making it more environmentally friendly as it is free from fluorocarbon. The gament utilises Texapore Ecophere 2L fabric, a waterproof, windproof and breathable fabric designed to offer complete weather protection while being highly durable and constructed from 100% recycled fabrics. The breathable nature of the fabric allows moisture vapour to escape, ensuring you stay comfortable and dry in the wettest of conditions. The fabric is completely windproof which keeps cold winds at bay and eliminates windchill. Not only does this keep yourself protected from the elements, it also helps protect the enviroment for you to carry on enjoying the great outdoors. Underarm pit zip ventilation provides versatile temperature control by allowing you to open the underarm vents for increased airflow and enhanced cooling. An adjustable attached technical hood provides convenient protection from the elements, ideal for protecting the face and head against cold winds and heavy rain. Reflective detailing improves visibility in low light conditions by reflecting light. The details will shine bright when a torch or car headlamp shines upon them, helping to make the wearer more visible after the sun has gone down.